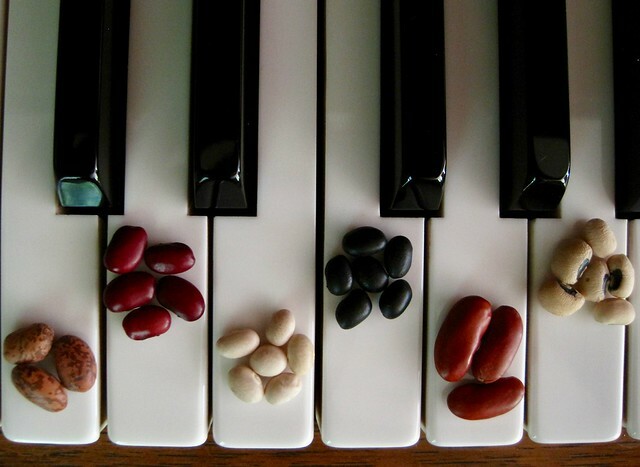 For our first collection in the Theme & Variations series, I decided we should explore the musical fruit (beans!) by starting with a very basic recipe and then expanding its flavor horizons a bit. Beans have a reputation that is only partly deserved. Sure, they can be pretty hum-drum and they have an undeniably unavoidable side effect, but with a few choice ingredients and a hands-off approach thanks to the slow cooker, you can have an exciting, hearty (not to mention affordable) meal on the dinner table any night of the week! Being a South Louisiana native, this first “theme” recipe is near and dear to me since it features the bold tastes of Cajun cuisine. All of the ingredients are easy to find. If you can’t find a salt-free Cajun seasoning blend, I’ve provided my personal recipe at the bottom. KEY INGREDIENT: Mirepoix is a mix of aromatic vegetables (traditionally onions, carrots, and celery) forming the base of many soups and stews. The Cajun version of mirepoix replaces carrots with zesty green bell pepper. Be sure to chop the vegetables finely so that they nearly melt away during the cooking time, flavoring the whole dish. No matter how far you are from the Mason-Dixon line, this simple slow cooker dish features pantry staples sure to be available anywhere. A savory ham hock will flavor the beans perfectly, so don’t be tempted to add salt until after the beans have cooked. Combine all the ingredients with 3 cups water in a slow cooker. Cover with lid, cook on high 5 hours or until beans are thoroughly tender. Remove the ham hock or ham to a cutting board, allow to cool. Using a slotted spoon, remove 1 cup of cooked bean mixture to a medium mixing bowl; mash with a fork to form a paste. Stir the mashed beans back into the slow cooker to thicken the beans. Pick the ham from the bone, discarding fat and bone. Shred ham with fork and return it to the pot. Add salt and pepper to taste. 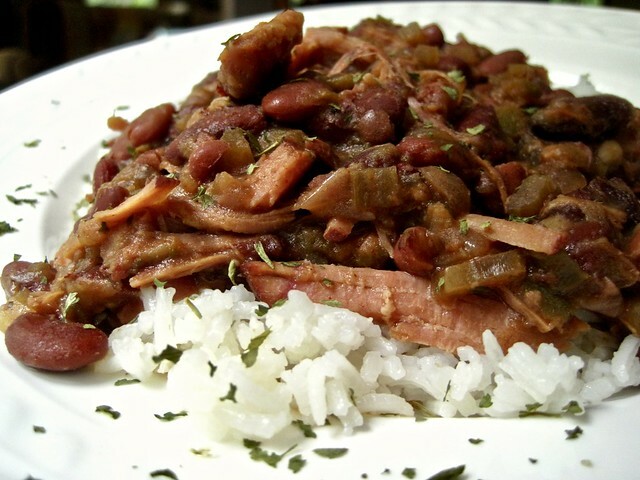 Serve beans atop a bed of fresh-cooked rice, top with finely-sliced green onion or parsley. Mix all ingredients thoroughly. Use immediately or store in an airtight container. I keep a bunch of this in a bottle in my spice cabinet. Try it on eggs, vegetables — just about anything, actually. It’s also an essential ingredient for blackening chicken or fish.